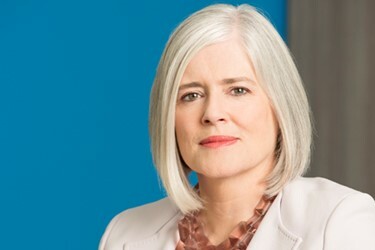 Dr. Helen Torley, president and CEO, Halozyme Therapeutics. “It was fun and exciting to present at the annual J.P. Morgan Healthcare Conference [JPM] as a first time CEO,” says Helen Torley, M.B. 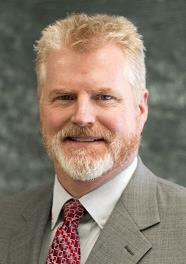 Ch.B., M.R.C.P, president and CEO of Halozyme Therapeutics. Her opportunity came in January 2014, just 10 days after joining the company. “It was JPM where I remember investors first started calling me Braveheart [a reference to the 1995 film depicting the first war of Scottish independence],” she laughs. “I think they were a little surprised by my Scottish accent.” But perhaps it was more, as Dr. Torley recalls her pride, enthusiasm, and belief in the company coming across very well. “I obviously have a much deeper knowledge of the company today than I had back then,” she admits. “But I also have worked hard on making sure I continue to improve my communication skills, which includes having a great coach.” So, in addition to a communication coach, what other advice does she have for first time CEOs readying for JPM or other important investor conferences? If it is your first time, cram for it like you would a test, realizing it won’t be possible to remember every single thing or anticipate every possible question. Her approach was to develop a Q&A based on spending her first week meeting with and asking questions of the company leaders, and then study it diligently. “I was able to handily deal with 80 to 85 percent of the questions that came my way,” she shares. For the rest she leaned on then CFO, David Ramsay. “He was there to add any additional color or tackle questions I hadn’t uncovered during my deep dive, which as you can imagine, was pretty intensive,” she states. Dr. Torley says messaging is also very important, as you want to be able to communicate in a way that resonates with a broad audience. “Depending on who you are talking to, your message needs to adjust and change,” she notes. “Am I speaking to a patient group, a physician, or an investor? To all of these I need to be able to tell the Halozyme story, but with slightly different emphasis.” This skill she learned while working at Amgen. “I remember trying to talk complex medicine to Congressmen and staffers on Capitol Hill,” she says. “My first attempt was way too technical, and I could tell by the looks in their eyes that I was losing them.” So, she adjusted her messaging to include an analogy they could relate to. At the time she was speaking about Epogen, a prescription medicine to treat anemia caused by chronic kidney disease in patients on dialysis. “These patients tended to experience a lot of variability from day to day with their red blood cell levels,” she states. So, instead of getting bogged down in the science of how Epogen worked, she compared the fluctuations of the condition as not being all that different from blood-sugar level fluctuations in patients with diabetes. “Think about a family member with diabetes,” she recalls saying. “If they have a large meal, they’re going to need more insulin. If they exercise, their sugars are going to change as well.” Similarly, for the parameters they were trying to measure with Epogen, what was going on in the patient’s life also caused variability. And just as a patient using insulin still experiences variability in blood sugar levels, one couldn’t look at a single point in time at one patient on Epogen and draw a proper conclusion. “Sometimes their red blood cell levels would shoot above what was considered normal, other times below,” she explains. “I was trying to get them to understand the importance of looking at red blood cell levels over time to see what the average was.” Torley attests the diabetes analogy resonated well with this audience. Here are some additional resources in preparing to present at major investor conferences. See sidebar, Are You Prepared To Sell The Sizzle Of Your Science To Investors?, within the May 2015 Life Science Leader article, So You Want To Start Your Own Biotech?.